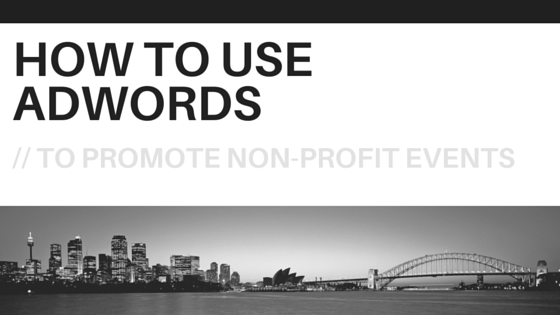 AdWords is a great tool for non-profits to utilize; whether it’s used for generating awareness, gathering donations, or gaining newsletter sign-ups. It can also be used to promote your group’s upcoming events. Advertising events can be especially challenging if not done right, so here are some suggestions that will help. Follow these and your event campaign will be a success. Any type of internet marketing requires knowledge of what people are searching for. Certain trends cause fluctuations and spikes, and you need to make sure you are utilizing phrases and words that have high search volumes. Using tools like Spyfu or Keyword Spy can help you figure out what keywords you need. Simply type in a phrase on either of those websites, and the results will let you know if that phrase would be a beneficial one to use or not. You’ll want to choose words that have thousands, if not, tens of thousands of searches per month. You may be surprised at the results, for example: the phrase “suspenseful scary novels” might have 25,000 monthly searches, but the phrase, “scary suspenseful novels” may have 55,000 monthly searches. In this case, you’d want to go with the phrase that has the highest search volume. Writing ads can be tricky in AdWords; the space is very limited, the call to action has to be appealing, and you have to make sure you’re using keywords that have high search volumes. Say your charity is hosting an event whose proceeds will go towards child cancer research. Your ads need to clearly state this in an enticing way. Instead of saying, “Cancer Fundraising Event” in the top line (the heading), write: “Help Children Defeat Cancer”. Appeal to people’s emotions, and think of something that would cause you to click on an ad. In the body of the ad (25 characters each in 2 lines), give a bit more information about the event itself. You can list the venue, date, and time in the first line, and in the second line, write your CTA. Write something that causes the reader to want to take an action; for example: “See How You Can Be A Miracle To A Child”. It isn’t enough that a person sees your ad and gleans information from it (although the exposure is helpful). But it’s even more important that the user is intrigued by the ad enough that he or she clicks on it. A Google ad, when clicked, will take the user to a whole new URL. This URL is referred to as a landing page because it’s the page the user “lands on”. It’s important to understand that Google is more likely to display your ads if your landing page also contains keywords that are relevant to the user’s search query. So, going back to keyword research, you will want to make sure your landing page has a lot of keywords related to cancer research, child cancer, helping ill children, etc. etc. If your landing page doesn’t have any relevant keywords, Google will not display your ad that often. Thus, make sure your landing page content is heavy with good, quality keywords. 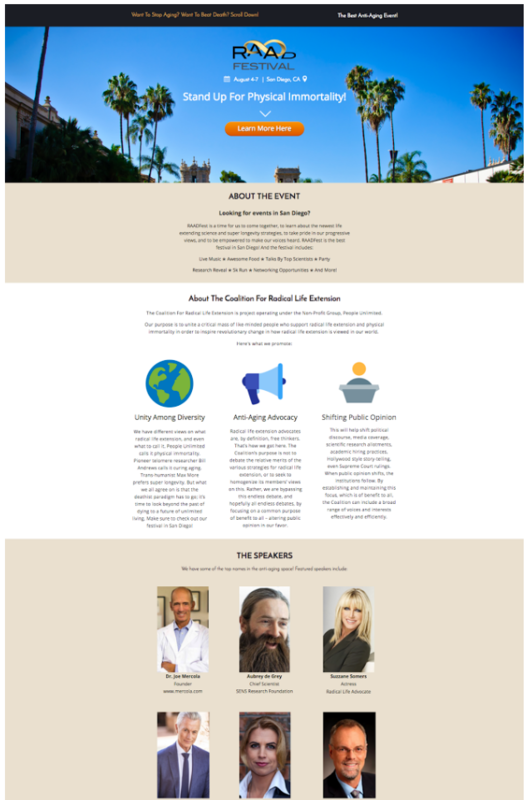 The landing is page is where the user gets details about your event. Sticking with the previous example, pretend a user clicked to learn more about a child cancer benefit. On the landing page, you need to make it as easy and straightforward as possible for them to sign up for the event/purchase tickets. Do this by having a clear CTA above the fold. Again, make the CTA enticing and clear. Do not create a button that says, “Sign Up”. Create a button that says, “Help Save Children Now”, or “Help Children Defeat Cancer”. This button should link directly to a page where they can register for the event. Too often, non-profits create lengthy, drawn out, and unclear directives on how to register for their events, and this results in people getting frustrated or bored – which causes them to abandon without registering for the event. Promoting events can be especially challenging and time-consuming. However, we hope our suggestions will help yours be more successful. Contact us to learn more about obtaining an ad grant from Google to promote events for your non-profit! This article was posted in Campaigns, Uncategorized and tagged ad grant, adwords, campaigns, events, grants, non-profit.